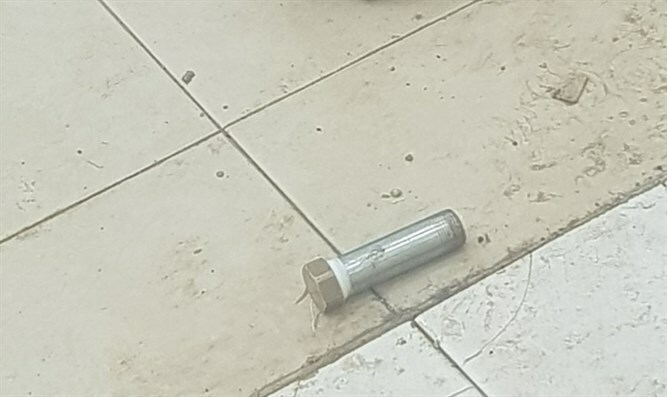 For the fifth time in two months, Israeli security forces foil attempt to bring pipe bombs into Samaria's Military Court. Border Police officers on Wednesday morning foiled a terror attack on Samaria's Military Court. Three Palestinian Authority (PA) Arabs were arrested near the court's entrance, after they were found to be carrying three pipe bombs. Last week, a PA terrorist from Jenin was arrested after the metal detectors went off at the court's entrance. A search of the terrorist's body revealed a pipe bomb hidden in his clothes. The terrorist was arrested.